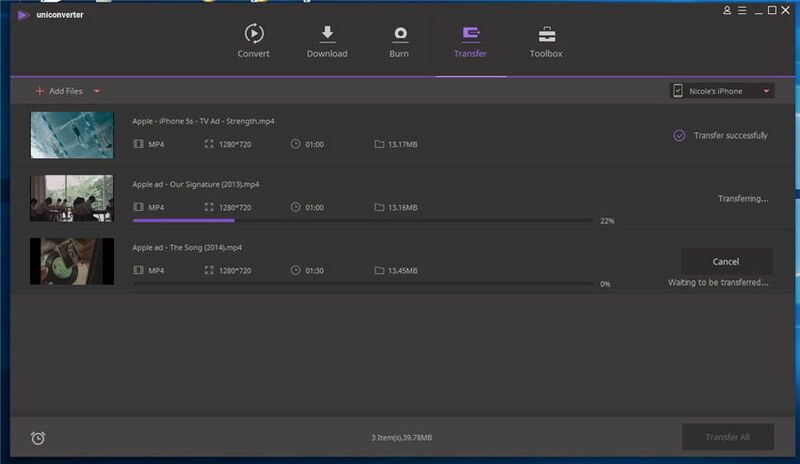 If you want to transfer video or audio files from your computer to your Android phone or tablet for enjoyment while on the go, you can make full use of Wondershare UniConverter (originally Wondershare Video Converter Ultimate). The program has a wide compatibility of different Android devices. Wondershare UniConverter supports transferring media files to almost all popular Android devices with Android 2.2 or later, including Samsung Galaxy S8/S8 Edge, Huawei Mate 9/P9, LG V10, HTC 10, Google Pixel and more. 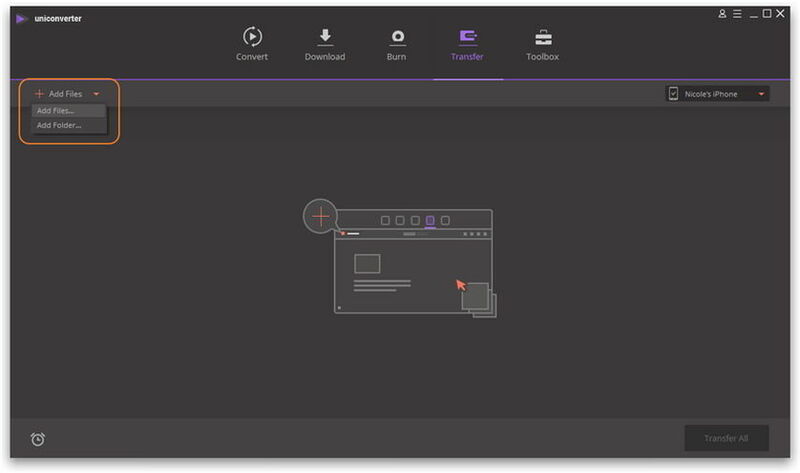 Launch Wondershare UniConverter (originally Wondershare Video Converter Ultimate) after installation, and click Transfer section in the top. 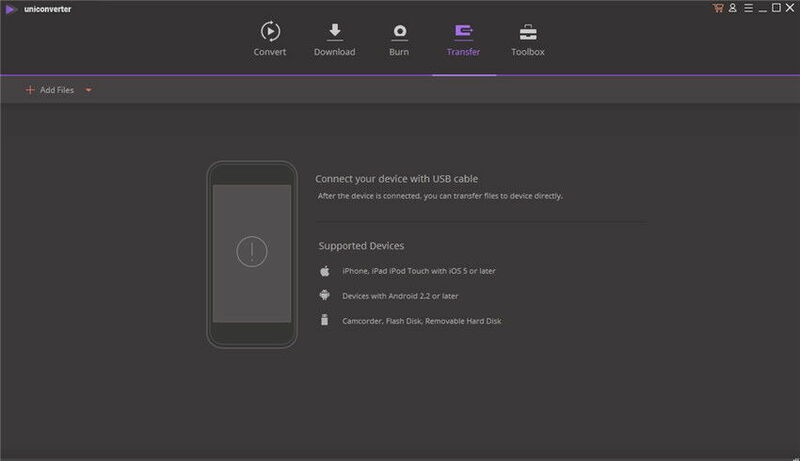 Connect your Samsung Galaxy Note 5 or other Android phone, tablet to computer with the USB cable, and it will start decompressing driver files immediately. Then follow the prompts of the program to enable USB debugging on your Android device. Note: The detailed steps to enable USB debugging vary with Android model and OS, so make sure you’re following the corresponding prompts to your device. You’ll get an interface as the screenshot below. Generally, you have 2 options to add your wanted video or audio files for transferring to Android device. 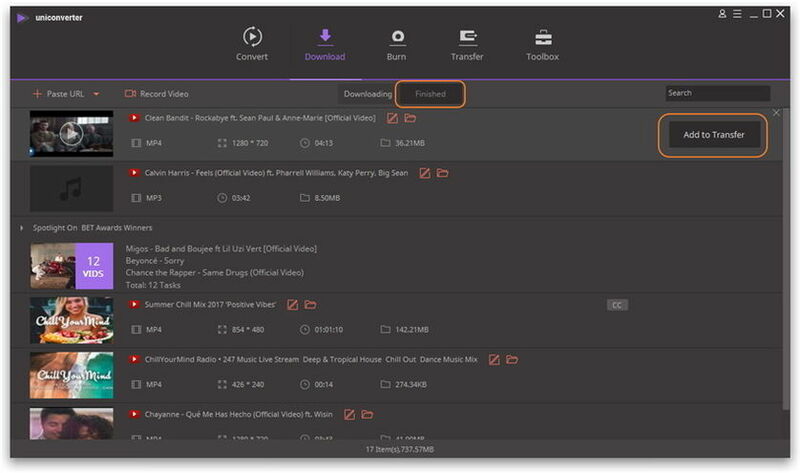 Click Add Files in the upper left side of Transfer section, and then select the local video you want. 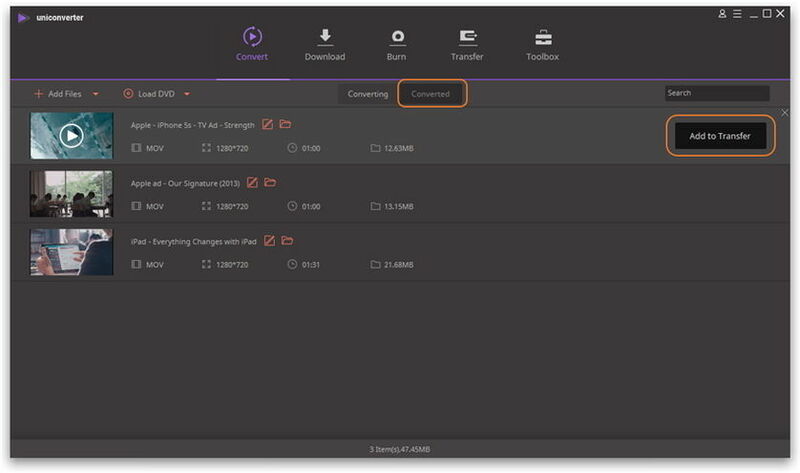 You can also add converted, downloaded or recorded video directly from the program. Go to Convert > Converted to get the desired video, and click Add to Transfer button in the right side. Or go to Download > Finished to search for downloaded or recorded video, and click Add to Transfer button. Then you’ll get an interface as follows. 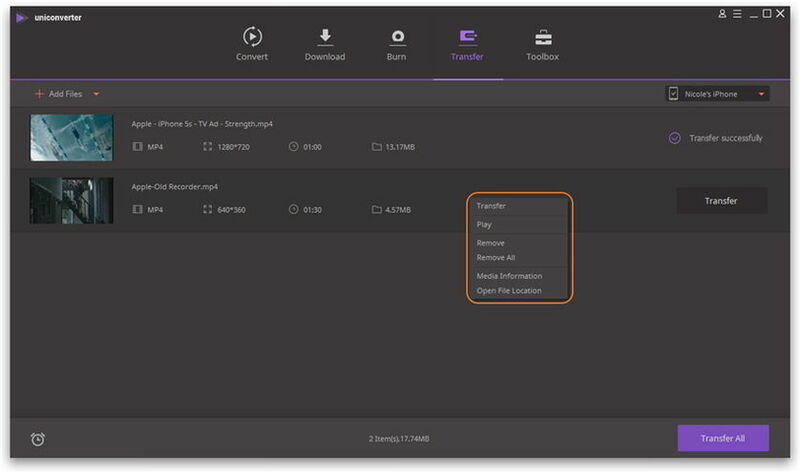 Click the Transfer button in the right, the program will start transferring the video to your Android device immediately. And click Transfer All will initiate batch transferring. The progress bar shows how long it will take, and you’ll see Transfer successfully once the transferring process ends. Now you can find the transferred video right from your Android phone or tablet. Tips: If you want to play, remove the transferred video, view the media information or open the file location, just right click the video.